We are proud to present the ABC of knives, a short reference book designed to give brief information about everything to do with knives. The book is the first of its kind and will be a valuable complement to the incredible amount of (dis)information available online. The author of the book is the renowned senior Swedish knifemaker Peter Hjortberger, your guarantee of good quality and sound views. 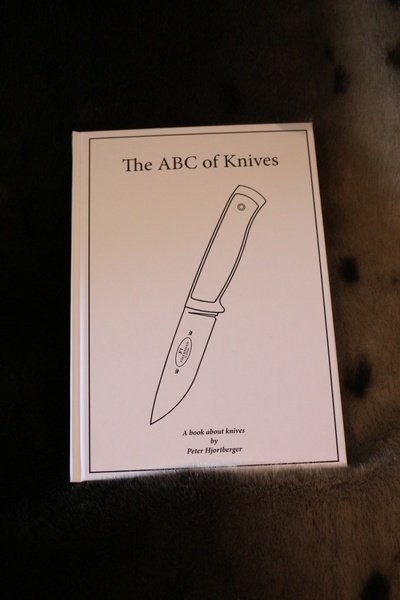 The text of the ABC of knives is relevant to most knives, illustrated with photographs of knives produced by Fällkniven AB. The ABC of knives is published and distributed by Fällkniven AB, complete with ISBN and EAN codes. The book is produced in A5 hardback format. Use the form below to order the Fallkniven ABC Book of Knives by Peter Hjortberger . Feel free to contact us if you have any questions about the Fallkniven ABC Book of Knives by Peter Hjortberger .